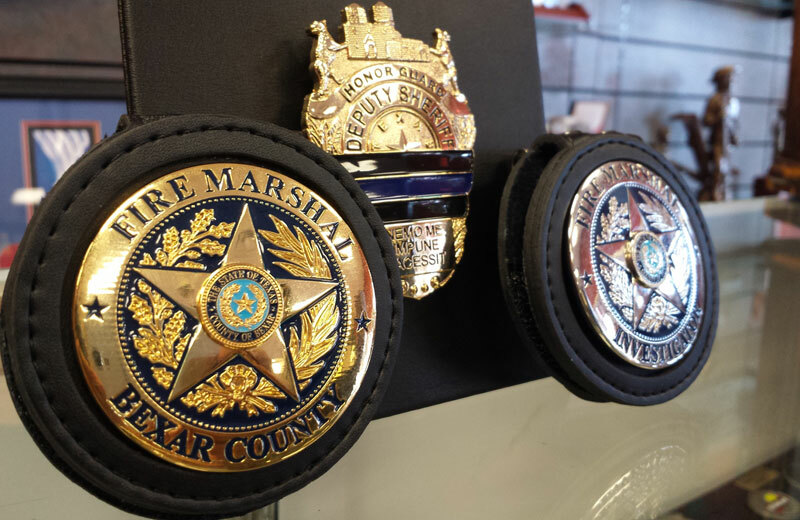 During the past year, Celebrate Excellence has worked with the Fire Marshal’s office in designing and producing their new badges and challenge coins. 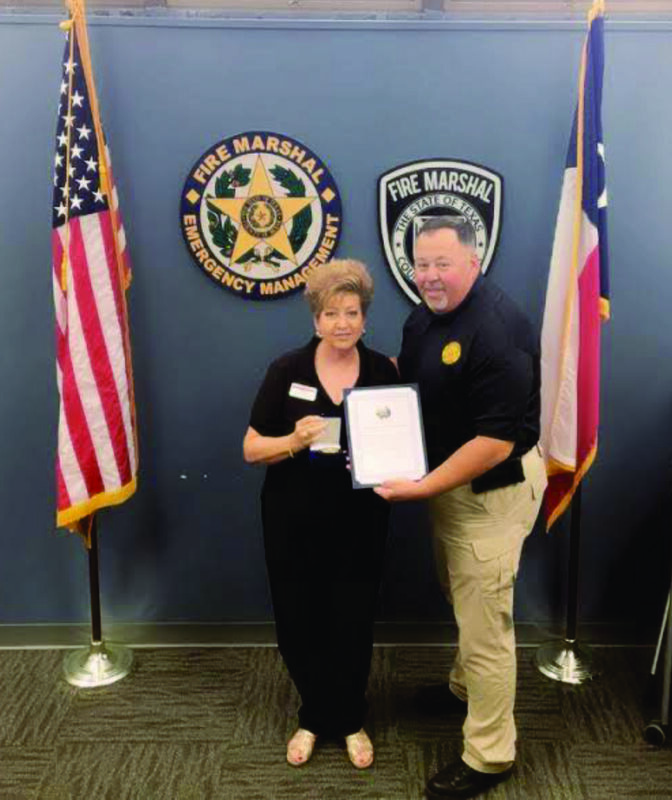 The primary duty of the Bexar County Fire Marshal’s Office (BCFMO) is to develop, foster and promote methods of protecting the lives and property of the citizens of Bexar County from fires, both natural and man-made hazards, and other significant events through the direct coordination and action with other public safety, private, and business communities. The BCFMO staff takes pride in the execution of this responsibility with the highest standards of professionalism, efficiency, integrity and accountability. The BCFMO consists of five functions: Fire Code Compliance & Enforcement, Fire Prevention & Inspections, Fire/Arson Investigations, Fire Dispatch Communications, and Community Outreach Initiatives. The BCFMO staff provides rapid response to requests for investigations, inspections, fire code compliance, and emergency management assistance. Celebrate Excellence supports the Fire Marshal community by attending the annual Texas Fire Marshal’s Conference as a sponsor. 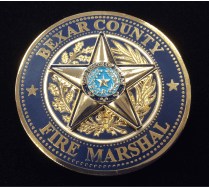 In addition to challenge coins for Bexar County, Celebrate Excellence makes coins for the State Fire Marshal, the North Texas Fire Marshals Association, Tarrant County Arson, El Paso Fire Marshal, San Antonio Police Chief, Bexar County Sheriff’s Honor Guard and many more. Celebrate Excellence is HUB certified – a woman-owned, Texas-based business.